It was only when the pilot intoned over heavy static, “unfortunately folks, with this weather we’re gonna sit here on the tarmac for a while,” that I realized how powerless a father can be. My wife had called me at 5 AM — 2 AM at our home — to let me know our 3-year-old’s pneumonia was getting worse. I could hear my daughter’s cough and labored breathing through the phone. The pulse oximeter reading gave me an eyes-widening pause. We agreed — my wife would take my daughter to the hospital, and I would head to the airport, prematurely and ironically ending my time at HIMSS, the country’s seminal hospital technology conference. By late morning, as my first flight pulled into the gate in Newark for a connection, in Palo Alto they were moving my daughter into the intensive care unit. An hour later, having boarded my next flight, I heard genuine worry in my wife’s voice as I sat, frustrated, in a grounded plane, tumultuous weather brewing above. As we finally cleared to take off and a flight attendant threatened to confiscate my phone, I overheard a doctor say to my wife, “she is getting worse, and we still don’t know why.” My plane took off for SFO. That 7-hour flight felt like an eternity. When I stand in the ICU, beside a loved one, sometimes I will just be still. I will take it in. I‘ve been here before — a beloved grandfather, my mother twice, another child before, and now my daughter. I focus on the people who are serving. I am thankful. I realize so many paths in life led to this moment; years of dedicated training, advanced technology, and the miracles of medical science enable these people to care for my daughter. That’s the model in my head: perfect technology and data, heroic doctors and nurses. And then an alarm goes off. But no one notices. And another alarm, this one chirpier. A third, highly annoying, but when we ask the nurse what it means, she simply turns it off. My wife answers the same questions over, and over, and over. In my memory’s eye, I’ve lost count of the number of monitors. A nurse squints at a screen, scribbles on a sheet of paper, and a minute later is on the phone in the hallway, ostensibly with a doctor. She checks her handwriting against the screen several times. And it’s loud — jarring, really — and bright, and confusing. A young doctor mentions she’s been on for 20 hours straight. Over the next 36 hours, my wife and I catch at least one mistake. As someone who thinks in systems, it was disconcerting. My daughter would recover. We were, and are, thankful. But the experience stayed with me. It raised broader questions. Life is fragile. In the ICU, this becomes explicit. Clinicians try to steady patients with a complicated set of monitors, assessing patient status and addressing problems as they arise. Changes in blood pressure, heart rate, respiration and other vital signs trip more than 40 different alarms at each of the dozen beds in the ward. Doctors rush to the patchwork of displays, piecing together dozens of numbers and waveforms to determine what’s wrong and what they can do about it. The ICU is staffed by heroes because, frankly, that’s what is needed to manage technology systems run amok. We’ve taken one of the most information-rich environments ever created and placed it on an upward trajectory of complexity, not intelligence. Doctors, nurses even, are making real-time, life and death decisions with disparate data and no predictive capability. They are doing their best, but the ICU is the last bastion of the sometimes amazing but also heuristic-driven eminence-based practice of medicine. There are a number of root causes. 99% of data in the ICU today is lost forever. Data from multiple systems is siloed and unsynchronized, not accessible for real-time or retrospective analysis. The supposed salvation (and now bogeyman) of health technology — the electronic medical record — pretty much stops at the ICU’s door, providing basic patient data and enabling coding but contributing little to real-time clinical care. In critical care, medical researchers are dying of thirst while marooned in an ocean of unkempt data. But back to the beeping. The constant beeping. This din is meant to guide clinicians through patient treatment, but many crucial signals are lost in the noise. Monitor alarms’ low accuracy and high frequency make them ineffective — and even unsafe. Disruptive and false alarms cause physicians to make fatal mistakes, and the noise level (often above 85 decibels, or as loud as a garbage disposal or bulldozer) keeps patients from getting the rest they need. A nurse will face an average of 350 alarms per patient, per day in the ICU, and as many as 700 for the particularly ill. 85 to 99% of these alarms will be false. And the problem is not just bad system design. The human brain can’t take it all in. So much important physiologic data exists beyond the initial display, especially when these devices are unconnected. So the spiraling feedback loop continues: we stick more technology band-aids over the symptoms of bad systems. Another alarm. Another screen. It’s a dystopian environment where patients suffer such fragmented sleep, ICU delirium is a real thing, and where staff suicide rates are unacceptably high. This is a truly moral injury. The American healthcare system costs more per person than any in the world, for consistently subpar outcomes. The ICU and critical care units are among the most expensive environments within our system, and those costs will over-index going forward as simple “jobs” continue to move away from the hospital and a higher % of care is complex and for an older population. Source: Statista (top), US population aging and demand for inpatient services (bottom). 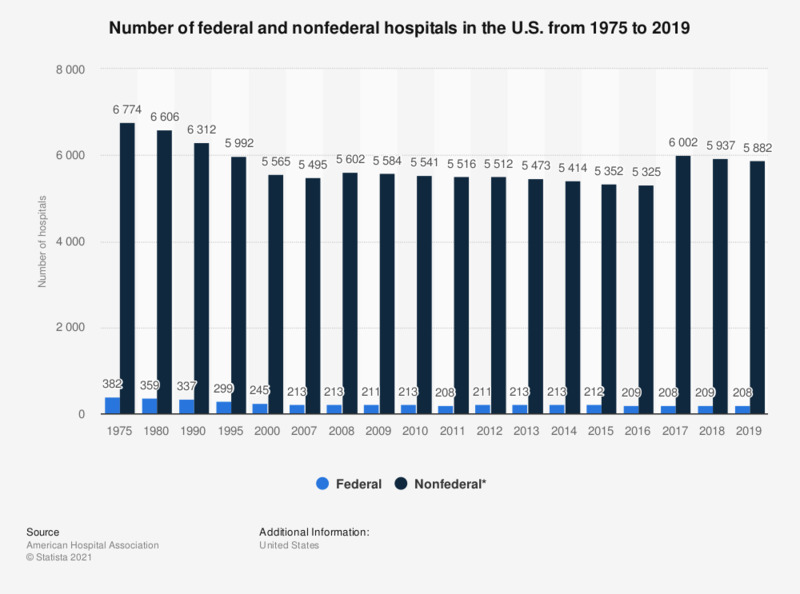 Yes, hospital length of stay has decreased over the past 20 years but is set to increase amidst complexity and an aging demographic. We need a better approach. We need a better data operating system for the critical care environment. MIC is a Houston-based scaling startup providing deep compute on top of the ICU or any critical care environment. The company was founded by an engineering PhD with strong operating and common sense, Dr. Emma Fauss (CEO), and a polymath professor of medicine, mathematics, and engineering, Dr. Craig Rusin (CTO). The entire team is technically excellent and deeply imbued with data and the nature of hospital implementations. Day 1 training for new MIC employees involves empathetically understanding each human role in the ICU. Born out of the world-renowned Texas Children’s Hospital, MIC has built an FDA cleared platform to capture, synchronize, visualize, and analyze every single waveform and data point related to the patient. They do this today, at scale, in an increasing number of the country’s best health systems. But MIC is also leading us to the next phase of AI-driven empathetic care. The platform hosts several algorithms which use previously lost vitals data to build condition-specific models, predicting critical medical events hours before they occur. This saves lives. The chart below shows a MIC-informed risk index for a baby with a severe heart defect. While it tracks three common vital signs at the top, the model also draws on respiratory rate variability, specific heart rate interval variability, and heartbeat segment length and variability. Many of the best predictors of a critical event are hidden, and examining each signal alone doesn’t show the whole picture. By running real-time analysis on vitals data, doctors catch invisible red flags and intervene. The deployment of MIC into an ICU ward is both simple and profound. Within days the staff has noticed a significant reduction in alarms. Old screens start to be retired in lieu of one synchronized source of trust. On-call MDs now have any signal about the patient, truly real-time, on any secured screen, wherever they may be. Sometimes it takes very advanced computing to enable simplicity. More importantly, as the company scales from ten, to twenty, to hundreds of hospitals, MIC becomes the secure, translational platform the world’s leading institutions will use to validate and deploy algorithmic improvements in critical care. And, because MIC gives customers and researchers development tools, that platform becomes an enabler for the creation and sharing of AI algorithms internally and with affiliates. At that moment, while my job is to invest, I knew my real role was to serve: in funding, in company building, and in encouraging the right motions for repeatable distribution. From what I can tell, every critical care bed in the world would benefit from having MIC. In a broken world and broken system, MIC is a financial and moral imperative. After investing in MIC through the seed phase, we are pleased to announce DCVC is leading MIC’s $11.9M Series A, alongside Intel Capital, TMC Ventures, and numerous angels. MIC’s goal is as simple as it is ambitious — to bring deeply empathetic AI to the bedside of every critical care bed in the world. MIC makes doctors better doctors, nurses better nurses, and hospitals more effective for patients in their most vulnerable moments. Data Collective and its principals have backed brilliant people using deep tech to change global industries for over twenty years, creating tens of billions of dollars of wealth for entrepreneurs while making the world a markedly better place.